UltraSurf is a small program that will change your real IP address and third-party servers will not see your real IP, therefore the country. The program comes with a tiny interface and you can choose between different servers. If one doesn't work, just click on another one. Once you are connected, you will get a new IP address, usually from United States. 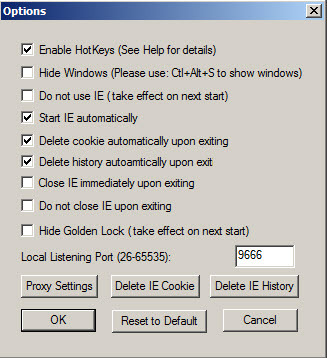 Originally, the program was developed to work with Internet Explorer, but not it supports and works fine with Google Chrome and Firefox browsers. 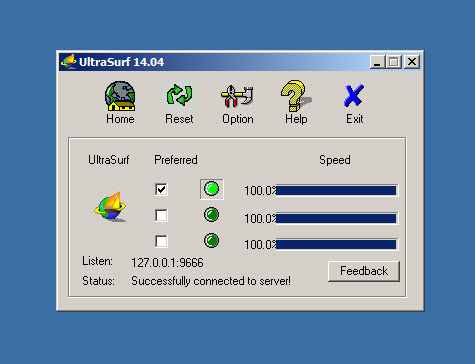 UltraSurf is available as free download for Windows 32-bit and 64-bit.